LED bulbs are the future. As the per-watt cost of LED bulbs plummets, replacing inefficient incandescent lighting with substantially more energy-efficient LED is an investment with a very fast payoff. LED bulbs use approximately 80% less power and last up to 25 times as long as an equivalent incandescent bulb. The math just makes sense. Take for example a three-bulb light fixture. With three 60 watt incandescent bulbs installed, and assuming it is on for an average of five hours per day, this fixture will consume 60 watts x 3 bulbs x 5 hours x 365 days / 1000 = 328.5 kWh per year. 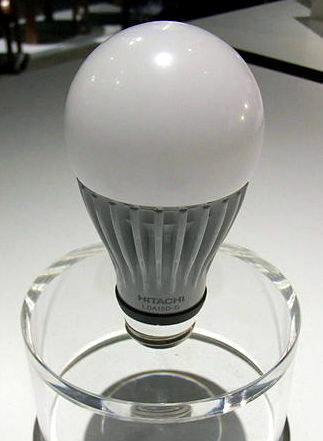 At $0.11 per kWh, the baseline cost for running this light fixture with incandescent bulbs is approximately $36 per year. Switching to 60 watt equivalent LED bulbs (13 watts) results in an annual operating cost of $7.83. The savings each year amount to $28.17. Over the life of the LED bulb (approximately 25 years if it’s on for 5 hours each day), not taking inflation into account, the savings in electricity cost alone on that single fixture will be $704. There are few other “renovation” projects as simple as changing a light bulb. To avoid a huge up-front investment, simply replace incandescent bulbs with LED as they burn out over time. To be even more efficient, when an incandescent bulb burns out, transfer one from your most-used fixture to the burned out location and install the LED in the most-used socket.